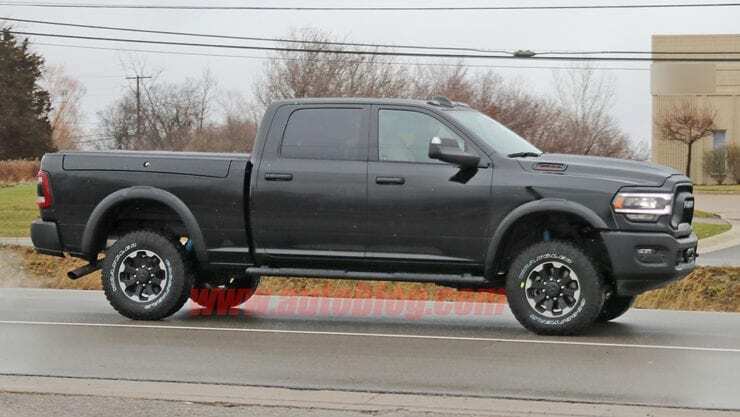 Home Recent News New 2020 Ram 2500 Power Wagon Spotted – Production Ready? 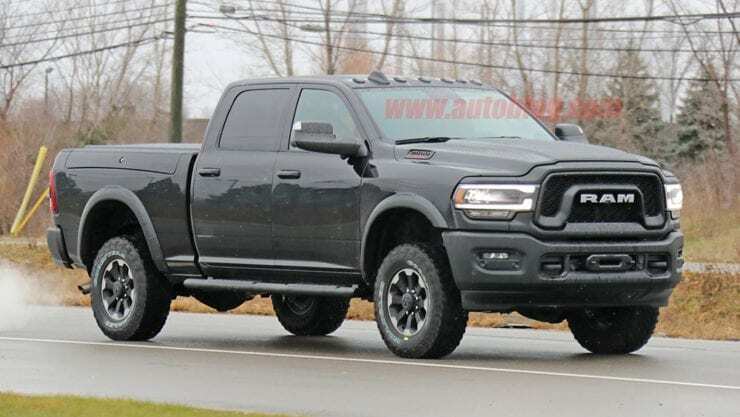 A new 2020 Ram 2500 Power Wagon was recently spotted looking production ready. The new Power Wagon isn’t expected to be revealed for another month or so, but this looks like the real thing. 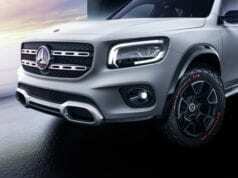 Autoblog.com has published several spy photos of the new truck. 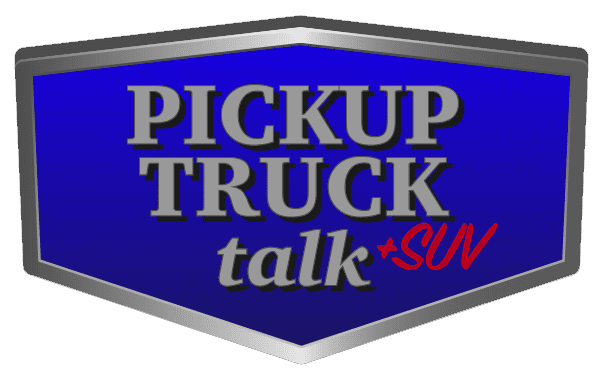 The Power Wagon has long been the top heavy-duty off-road on the market with its brawny size, power and factory winch option. Updated just a few years ago, it looks like Ram is looking to change the look again. Borrowing from the 2019 Ram Rebel styling, the new Power Wagon shares a similar grille and RAM lettering on the tailgate. The lights look new along with a new LED design. 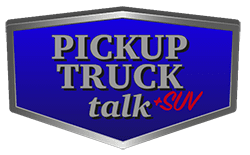 We would expect nothing from the current truck mechanically will change and most of the changes will be minor exterior upgrades along with interior updates. If there is one thing about Ram, they know the battle for pickup supremacy right now is happening inside the cabin. Their interiors are among the best in the business and this new Ram Power Wagon will likely get the same interior upgrade treatment the current 1500 received. It seems very likely this means the large 12-inch infotainment screen will make its way into the pickup. 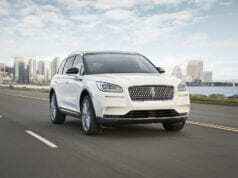 Besides the new interior and exterior upgrades, we doubt there will be any announcement of a diesel powertrain. 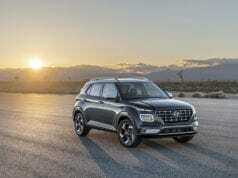 However, the optional Hemi V8 eTorque system with its hybrid power could make its way into the Power Wagon offerings. That system does a great job adding power off the line and better start/stop performance while sitting – another feature Ram may decide to introduce on the Power Wagon. 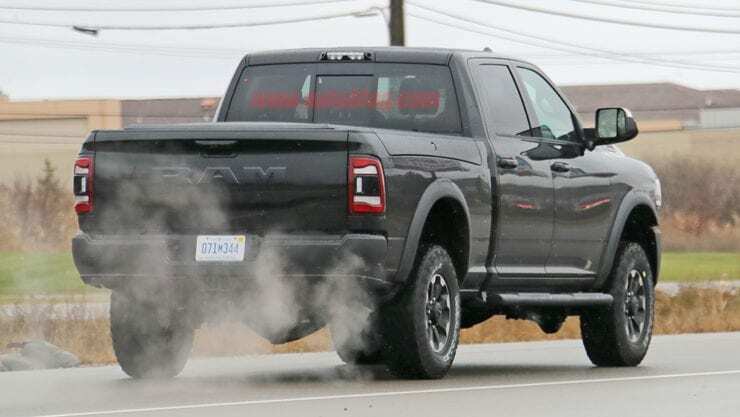 The new 2020 Ram 2500 Power Wagon will likely be unveiled at the 2019 North American International Auto Show in Detroit this January alongside a new lineup of Ram HD trucks. Pricing and availability could come out at the show if Ram follows what they did with the 1500. This means, unlike the traditional hitting the dealer lots in August, the new Ram HD trucks could be out in the spring well ahead of the competition.